A faded pillow with the flag's print sits on the porch chair of his quirky urban farm in South Tampa, an area known more for craft beers and gluten free brunch. He's got a sticker with the red and blue battle flag and the words "I ain't coming down" affixed near the shopworn light switch in the building that holds his farm's free-range eggs. And in his barn, there's a cloth flag near a sign that says, "COW COUNTRY watch your step." But the flag he's proudest of sits about 17 miles away, at the corners of Interstates 4 and 75. 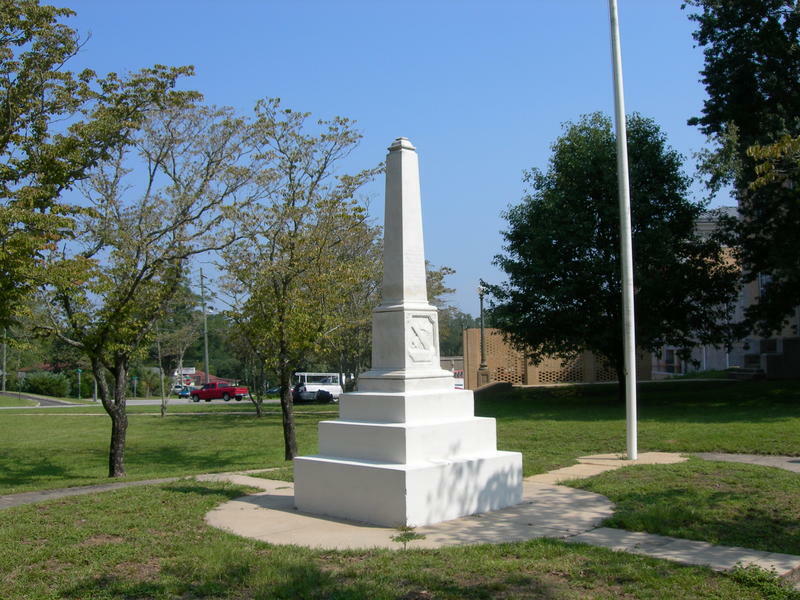 It's the centerpiece of the Confederate Memorial Park, a small sliver of privately owned land. The giant flag has been a thorn in the side of local officials and a source of puzzlement and anger to many residents and visitors. A day after last weekend's violence in Charlottesville, Virginia, someone splashed red paint around the park. It's since been cleaned up. 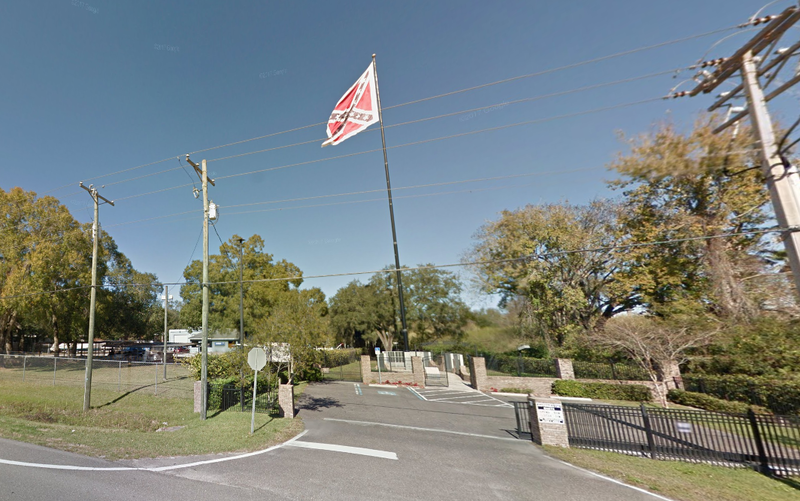 Lambert says he tricked the county — his words — when he bought the land, knowing full well they wouldn't be in favor of one of the nation's largest Confederate flags flying over one of the state's most heavily trafficked areas. But more on Lambert's championing of the flag in a bit. First, he has something to say about those who associate it with the neo-Nazi violence that flared in Charlottesville, Virginia. "It seems like we're heading toward bad times — Armageddon," said Lambert, who took a dip of snuff while talking with a reporter. Reading about the deadly violence in Virginia depressed him, he said, adding that the neo-Nazis are "fringe nutcases." The 69-year-old's biggest worry, though, is that it will push well-meaning people who want to preserve their Southern heritage toward extremism. "You're marginalizing the entire group of people," said Lambert, who sells eggs and honey on the honor system from a roadside stand at his house. Lambert first started championing the flag back in 1991, when someone from the NAACP called it "an odious blight on the universe." Lambert, a descendant of three Confederate soldiers, took offense and planted his flags around Florida and joined Sons of Confederate Veterans. 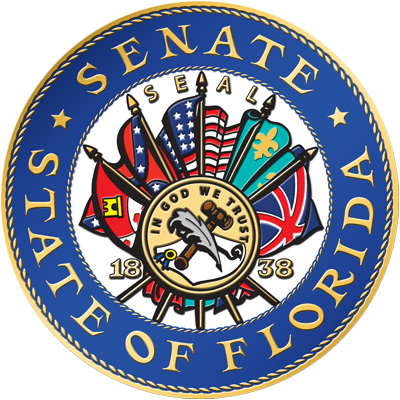 He sued his home county, Hillsborough, for taking the flag out of the county seal, and lost. He wanted to do something that was a "standout," to make people take notice of Southern heritage. In the early 2000s, not long after Gov. 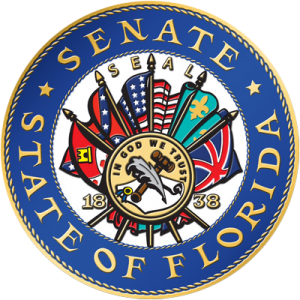 Jeb Bush removed the battle flag from the capitol in Tallahassee, he bought a tiny piece of land near the interstates for $5,000. When he asked for a permit, he told county officials he planned to build "a memorial to American veterans." "I tricked them," he said. "If they had done any research they would have known who I was." He and others raised $250,000 in donations and labor to erect granite slabs engraved with soldiers' names. 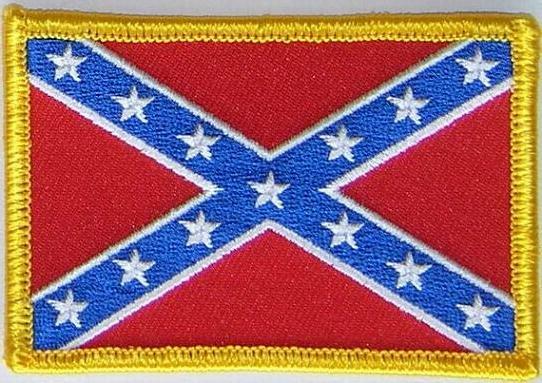 In 2008, he unfurled a 30-by-50-foot flag — at the time it was the biggest Confederate flag in the nation — much to the disgust of many. While it's no longer the largest Confederate battle flag in the nation — after it was wind-battered it was replaced with a slightly smaller model — it does stand out to passing drivers. "It's very embarrassing," sighed Bishop Michelle B. Patty, an African American resident in the county. "People ask me, what's going on in Hillsborough County? Why would we allow this to happen? But there's nothing we can do because it's on private property." Lambert maintains that he's not racist, that he likes black people and that critics should visit the park to get the full context. "I made the point I wanted to make," he said. When asked if he's ever thought of what it would be like to be African-American and see the flag through a different, non-white lens, he paused. "Not really. I think I perhaps understand and conceptualize what they feel and why they feel it. I don't justify it in any sense of my reality because it's so irrational." He sees no link between his actions and the turmoil in Charlottesville, and feels "Democrats, the liberal wing and the progressives" are "not looking for free speech or dialogue at all." He thinks President Donald Trump has handled the Charlottesville tragedy well. "Their irrational logic is assuming the flag is a racist symbol," he said. "It's not a racist symbol." Although he's depressed about the turn the country has taken, he adds that he wouldn't do anything different. Says Lambert: "Am I sorry I put up the flag where I put it up? Not at all. I enjoyed waking up the mind of the public."